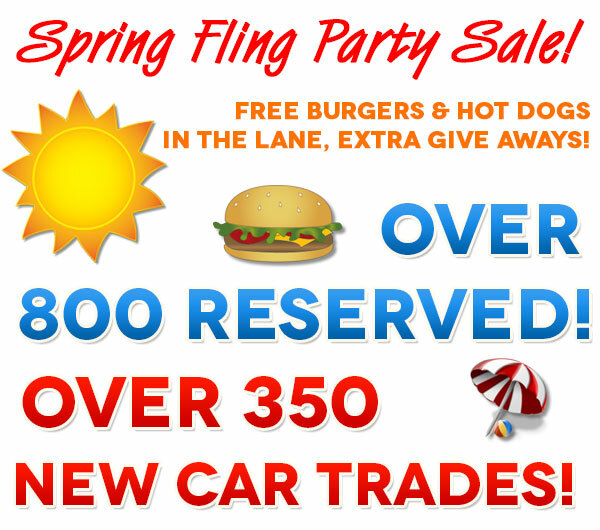 Dealer Sale Update May 21st – Spring Fling Party Sale! Free burgers and hot dogs in the lane, extra giveaways! Over 800 reserved and 350 new car trades! Toyota of NWA bringing 75 units and Fletcher Auto Group 125 units! Lane A Progressive Jackpot over $2500!